Before you apply for short term loans however, it’s important to keep in mind that borrowing money means that you should be able to manage it properly. Short term loans are generally not for periods longer than a year, so applying for this type of loan means that you need to be able to afford to repay it within the set repayment term. 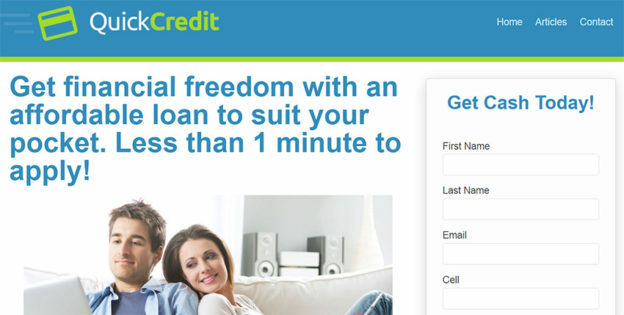 A lending institution that offers hassle-free and flexible financial solutions is Quick Credit. Through Quick Credit, you can get up to 5 quotes and choose what works for you. You have the benefit of being able to choose affordable and flexible payment plans. Quick Credit clients generally have 3 months to a maximum of 6 years to pay. The institution offers a quick, hassle-free application process. Once you have been approved, you get can expect to get cash within 24 hours. Quick Credit works with a number of premium partners who apply their own credit criteria to assess loan applications.